Friday I wrote about the initial results of Finland’s Universal Basic Income experiment. Though the conclusions so far only involve the first year of the program, Finland’s Social Insurance Institution concluded the experiment failed to do what they hoped, i.e. lead more unemployed people to work. In fact, there was no significant difference in work days per year between the group receiving the $600 monthly payments and the control group who received nothing. Those receiving the cash were one percent more likely to have earnings from self-employment which, as far as an entrepreneurial impact goes, is barely perceptible and quite possibly noise. So today, Vox has a story about the experiment headlined, “Finland gave people free money. It didn’t help them get jobs — but does that matter?” The whole tone of the piece is summed up in that headline. The experiment’s stated goal was about “promoting employment” — the government wanted to see if having a basic income leads people to accept more work, even if it’s low-paying or temporary. By that metric, the experiment was a failure: Receiving free money didn’t impact the likelihood of people entering the workforce one way or another. Having quickly dispensed with the fact that the experiment was a failure by its own lights, the rest of the piece is a kind of UBI pep rally. But here’s what the basic income did do: It made recipients feel happier and less stressed. “The basic income recipients of the test group reported better wellbeing in every way than the comparison group,” according to researcher Olli Kangas. That’s a very positive result, and the fact that it wasn’t what Finland was shooting for shouldn’t be allowed to overshadow it. 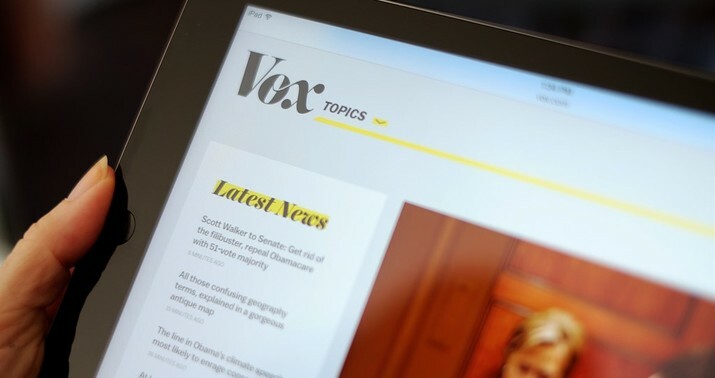 It’s at this point that Vox’s Sigal Samuel moves from promoting the one positive result the experiment achieved to something that sounds more like a warning about the importance of everyone signing on to this spin. [emphasis added]. Basic income is an idea that rose to prominence so incredibly fast, and was pushed by people with such varying motivations, that there’s a lot of confusion over the most fundamental question about it: What’s it for? What do we want basic income to achieve? Because we lack clear and cohesive ideas about what success would look like, when trial results are announced, our reaction can lack clarity and cohesion, too. With other countries from Scotland to India currently entertaining basic income schemes, it’s especially important to try to avoid that slippage. They’re watching the Finnish case closely, and a muddled reaction to this case could harm prospects elsewhere. Remember, it’s important that “our reaction” be cohesive and not do harm to other “basic income schemes” said the totally straight news story. This article about a failed experiment reads like a partisan strategy document. Here’s another way to define the goal of basic income: reduce human suffering. Or, put another way: make people happier. That’s a great outcome in itself, and Finland’s trial achieved it. That’s true but at a significant cost to taxpayers. Paying $635 a month to 2,000 people for two years cost more than $30 million dollars. Expanding the same program to a million people would have cost around $8 billion dollars per year. And obviously, that’s still only a fraction of the population of Finland so a truly universal basic income would cost several times that amount. Will people be happy and less stressed when their already high taxes go up 35 percent to pay for it? So long as you only look at the benefits and ignore the costs (to avoid harming prospects elsewhere) I guess this is a great result.